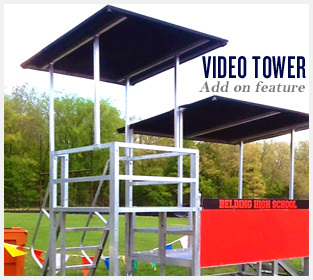 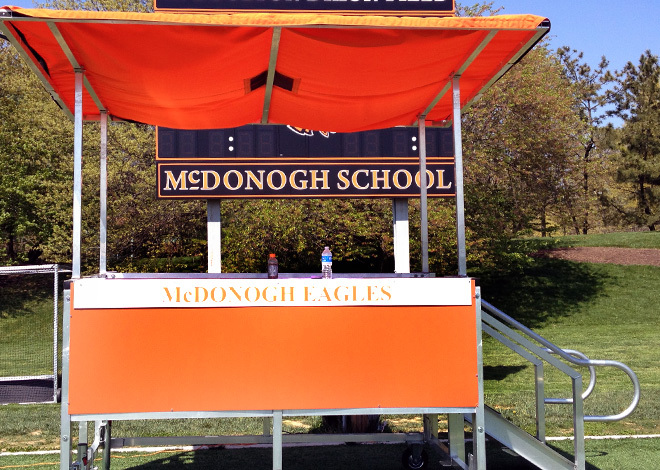 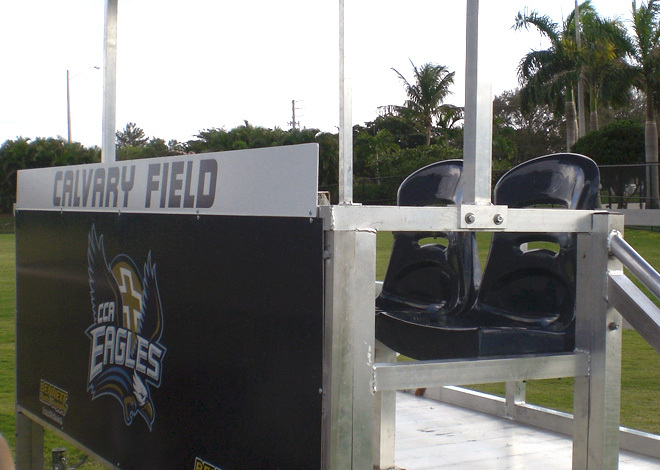 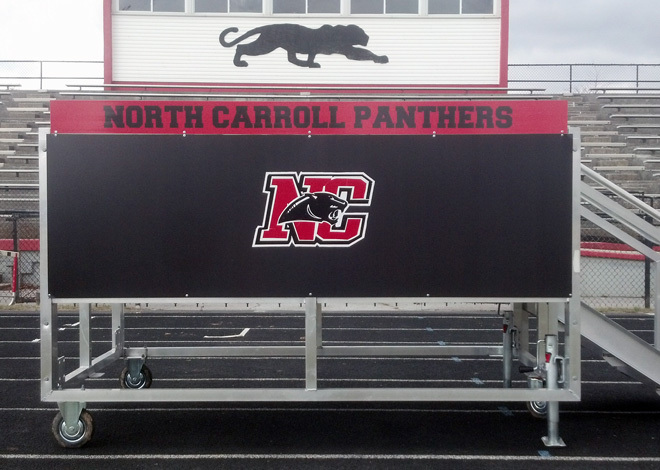 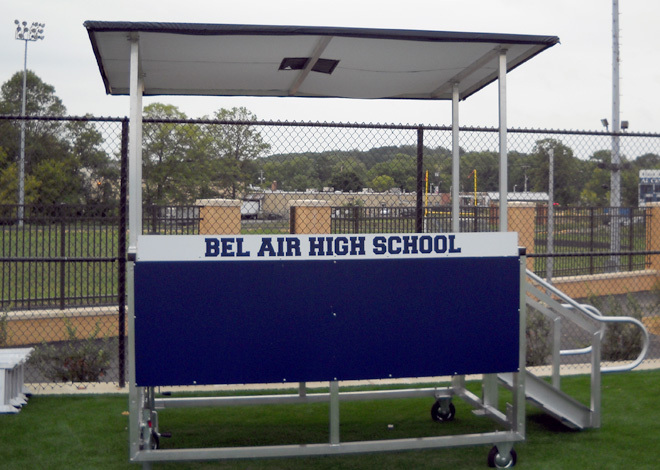 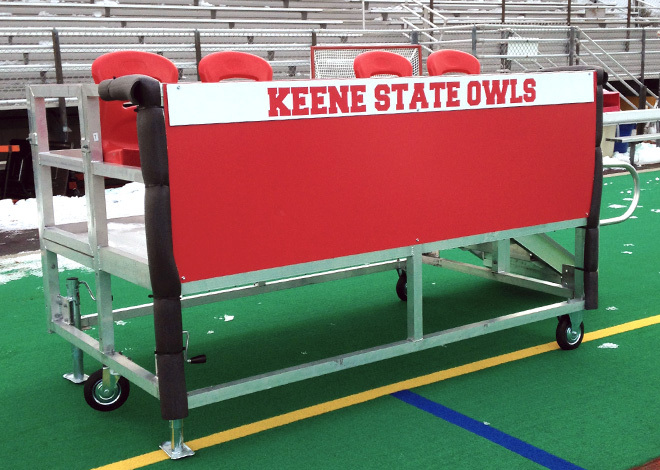 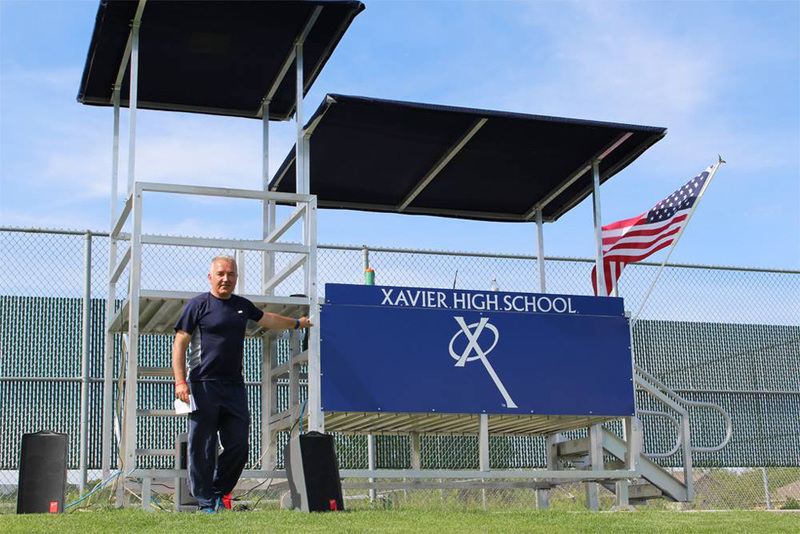 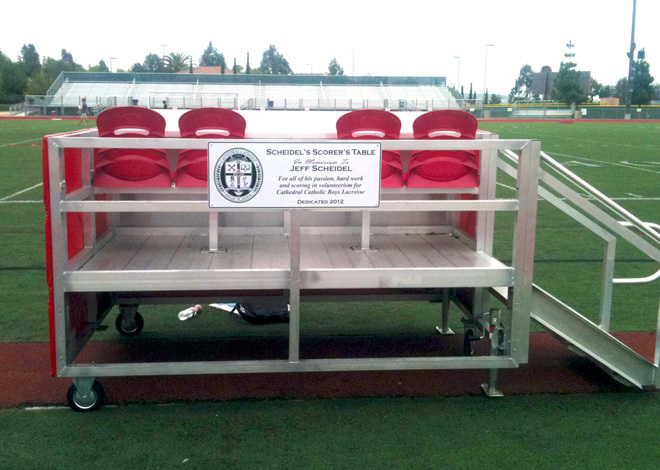 The Standard platform is 8’ x 5’ portable aluminum stage that allows score keepers, coaches, and announcers to get above the players. 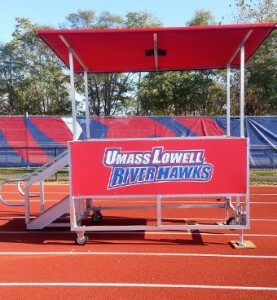 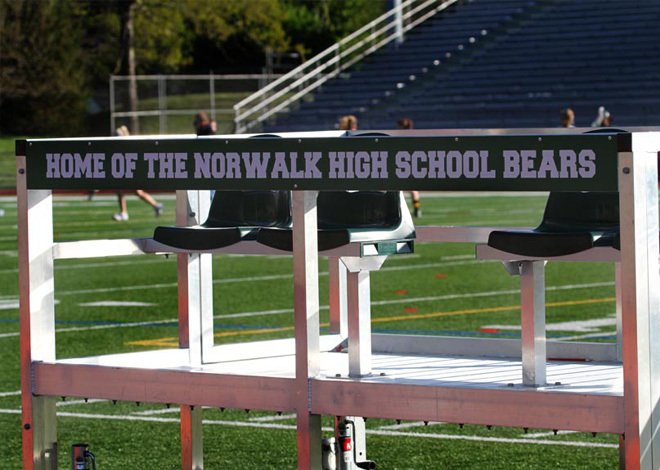 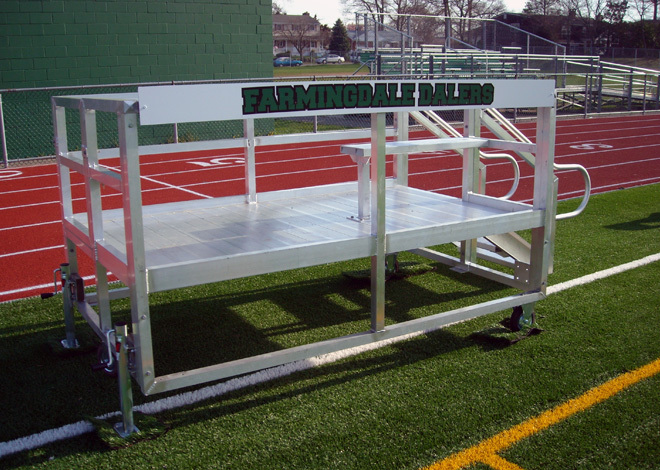 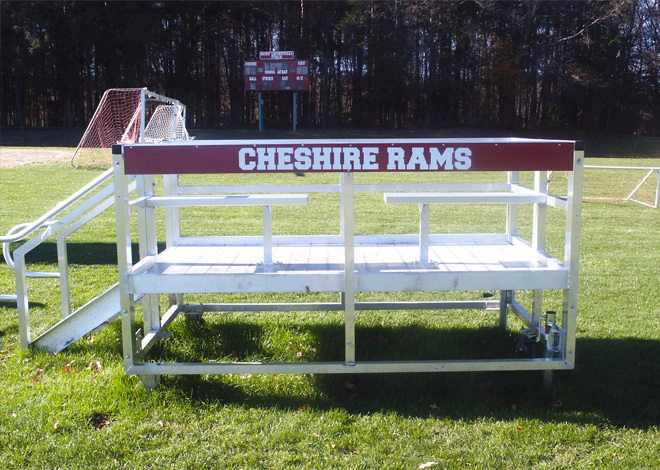 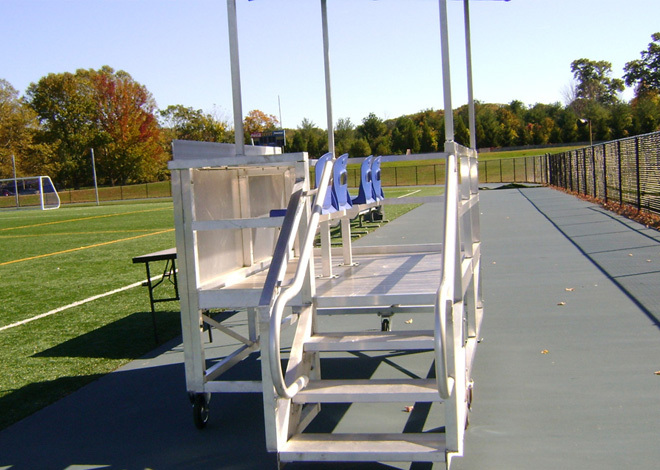 The platform comes with code compliant access stairs, 2 built in benches and a scorer’s table. 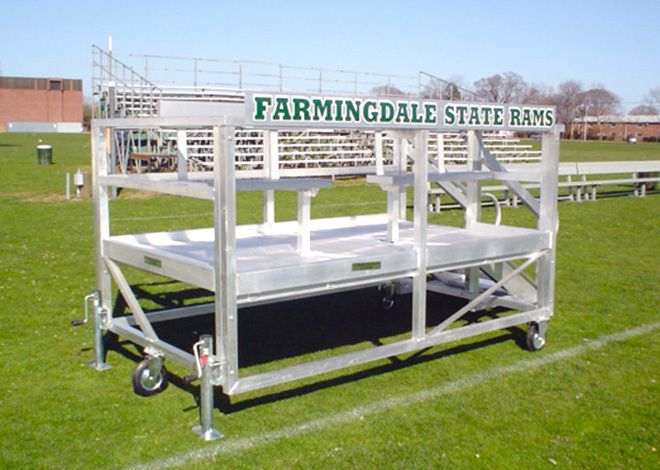 The Standard platform comes with wheels, leveling jacks and is railed on all sides for safety.